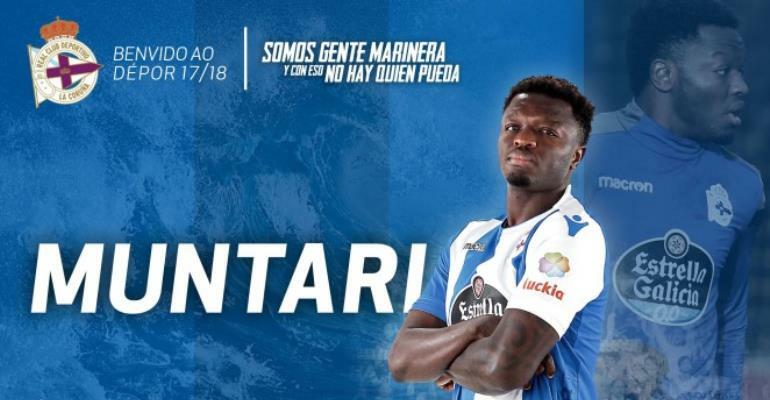 Ghana midfielder Sulley Muntari has been handed the number 21 shirt at his new side Deportivo La Coruna. The hard-working midfielder joined the Galicians on a four-month deal as a free agent on Thursday. After completing his move to the Spanish La Liga outfit, the former Portsmouth has been given the number 21 jersey for the remainder of the season. This is the first time the Ghanaian will be wearing the number 21 shirt in his illustrious football career. The 33-year-old could make his bow on Friday when Depor welcomes Espanyol to the Estadio Abanca-Raizor after being selected from the 19-man squad list. He featured for clubs such as Udinese, Portsmouth, Inter Milan, Sunderland, AC Milan, Al Ittihad Jeddah and Delfino Pescara 1936 since leaving Dansoman Liberty Professionals in 2001. He is expected to use his experience to help Deportivo maintain their LaLiga status after sitting the second bottom in the table, three points adrift of safety with 14 league games left to play.